Lama Zopa Rinpoche doing incense puja at Kopan Monastery, Nepal, April 2013. Photo by Ven. Roger Kunsang. Lama Tsongkhapa mentioned that all the suffering in the world comes from ignorance; therefore the root of suffering is not outside. No matter how much scientific knowledge and education worldly people have they still believe the cause of suffering to be outside; but that’s wrong. The cause of suffering is in the mind and that’s why it is the mind that has to change. Changing the mind is more important than trying to change what’s outside; changing outside never finishes. Change has to come from the mind. It has to come from your mind. The hell, hungry ghost and animal realms come from your mind, from your negative, impure mind and wrong way of thinking every moment and every day. While enlightenment, the fully awakened omniscient mind, liberation from samsara, and day-to-day happiness come from your mind and from the correct way of thinking, from positive thoughts. This is how everything comes from the mind. For example, when you have problems in daily life, if you practice patience, compassion, thought transformation, bodhichitta, emptiness and so on, then at that time there are no more problems. In that hour and that minute when you change your mind and think differently the problems are gone. But when you don’t change your mind and keep thinking the old way, as people in the world generally do, believing that the root of suffering is outside even though they have so much scientific knowledge, well then the suffering never finishes. There is no end to suffering. 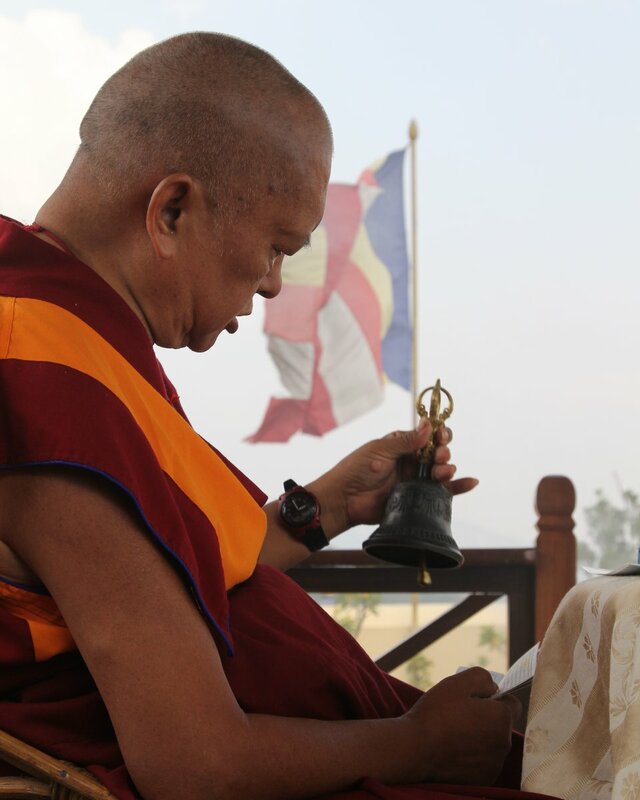 Excerpted from a teaching before a Lekshe Nyingpo lung at Kopan Monastery on April 13, 2013. Transcribed and edited by Ven. Sarah Thresher. If you like what you read on Mandala, consider becoming a Friend of FPMT, which supports our work. Friends of FPMT at the Basic level and higher receive the print magazine Mandala, delivered quarterly to their homes.